Finish off your minimalist spaces with our super chic white rocker switch. featuring a matt white coated steel plate, concealed fittings and gorgeously tactile rocker switch detail, this switch is the epitome of simplicity. For minimum impact, place upon matt white walls for a super-stylish look. Looking for something chic, neat and stylish to complement your minimalist space? Look no more. 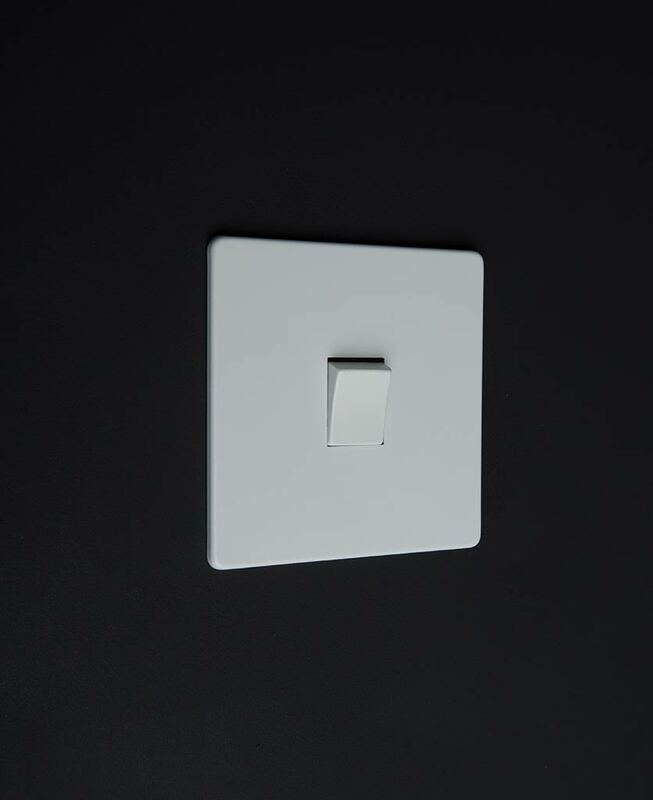 Our designer white rocker switch is just the thing. 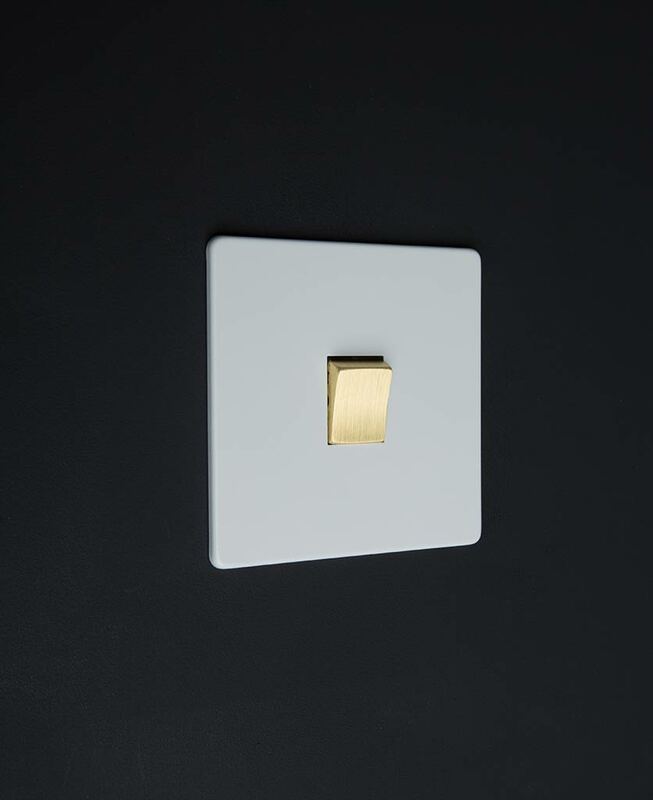 Featuring a matt white coated steel plate with a choice of black, white, gold or silver rocker switch detail, this switch is a gorgeous alternative to clunky white plastic switches. 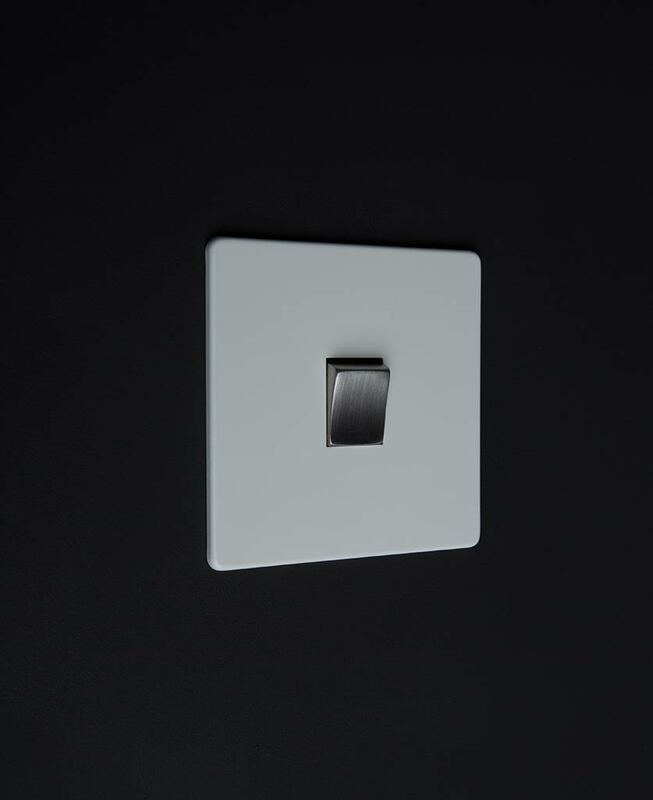 Designed exclusively here at D&R to add a designer flair to your interiors, without breaking the bank, this switch can be coordinated with our white switches and sockets range for an instant interior overhaul. Choose from toggles, USB sockets and data ports to uplift your interiors.